Seven was a right good buzz on thursday. 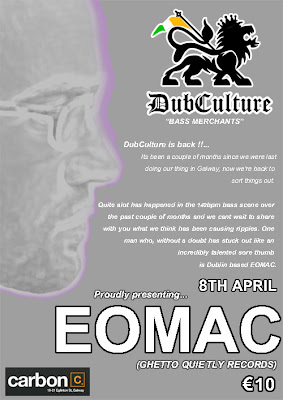 Most of the crew sessioned on in proper dubculture style til Jonesy's set the following night before Nicky Blackmarket before heading Plaid which was great as well. Then onwards to the the National Skydiving intervarsity where we were rockin the sounds all night. Nice on to Seven for coming over and everyone for coming out. 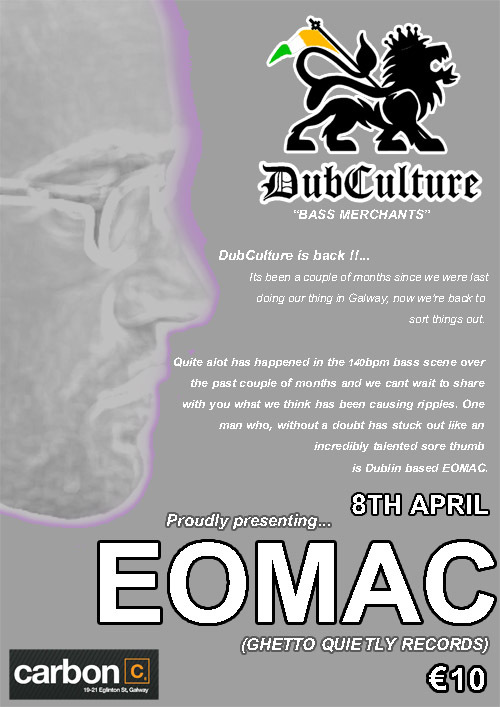 Next big un is with Eomac in our new home, formerly the GPO, Carbon on Eglington st, Galway.